Whether you received your lump sum from investments, a big lottery windfall or a pension you worked so hard all your life for, it’s a wise decision to start thinking how you should invest this lump sum for your retirement years. Fortunately, when it comes to a lump sum cash investment, you have many choices. But first you need to decide if you want to invest the entire lump sum at once, or bit by bit. You can opt for investing your lump sum in mutual funds, annuities or even real estate. But each has its own pros and cons that must be weighed before making a fiscally responsible decision that is the best lump sum investment for retirement and your situation. If you have contributed to a 401(k), then you are already familiar with dollar-cost averaging and may not even know it. Dollar-cost averaging is when you invest a fixed sum of money in a stock or fund over time. These fixed investments are made at regular intervals, regardless of how the market is performing at the moment. Because your regular investments will purchase the same stock at different prices, over time, the cost per share will average out which spreads the risk over time, making this strategy helpful if you're new to investing or are risk-averse. Lump sum investing, on the other hand, is a strategy whereby an investor will take a lump sum of money and invest it all at once. If the market takes a turn for the worse after you invest, your portfolio could take a big hit, but more of your money will be able to grow or compound when you invest it as a lump sum. Consulting with a financial advisor can help you determine your level of comfort with risk and whether or not you should invest the lump sum all at once. Mutual funds are one way to invest a lump sum in retirement by pooling financial investments from its investors and using that money to then purchase securities. These securities can be in many different investments along various avenues including stocks and bonds. Also known as holdings, securities make up what is known as the mutual fund's portfolio. When you purchase shares of mutual funds, you have part ownership in the fund, and are thusly entitled to your representative portion of the income that is generated through the fund’s securities. Mutual funds are popular lump-sum investments for lots of reasons, including their high level of liquidity. You can redeem your shares whenever you'd like for the current net asset value, or NAV, but bear in mind, however, that you will likely face redemption fees which vary depending on the investment company. Mutual funds are also an affordable way to diversify your portfolio. Because mutual funds invest in many different companies across many different industries, your risk is spread out should one company experience a downturn, and many mutual funds have low initial investment requirements. As with any type of investing, mutual funds do carry a level of risk. Even though mutual funds are diverse enough to weather some financial storms, you need to be aware that you could still lose a portion or all of your investment if the securities or holdings in a particular mutual fund should experience a downturn. Check a fund's past performance to get an indication of how stable it has been and exercise caution when investing in funds that have exhibited excessive past volatility as this is indicative of an increase of risk. Another popular choice for retirees looking to invest a lump sum in their retirement years is the immediate annuity. Annuities are an insurance product purchased from insurance companies and provide long-term stability. While there are several different types of annuities available, the immediate annuity lets you make a lump sum premium payment for a policy in exchange for guaranteed distribution payments. These distribution payments can last for 10 or 20 years or for as long as you designate, even for the rest of your life. Annuities funded by tax-deferred accounts are only taxed on the distributions as you receive them, rather than all at once. This allows more of your money to grow tax-deferred until you begin taking distributions which means that more of your money can be put to work for you. Immediate annuities are popular with retirees because after your lump sum premium is paid, you can begin to take distributions almost immediately. There are fees, however, associated with the purchase of annuities, such as broker or commission fees which can range as high as 10 percent depending on the company from which you purchase the policy. You also may have to contend with surrender charges. Surrender charges are fees that you could face for taking money out of an annuity after you purchase it. 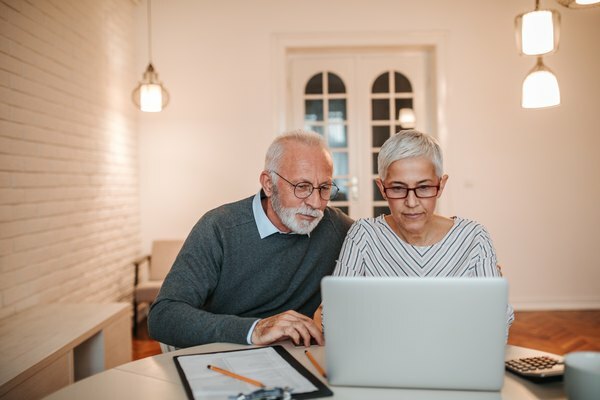 To be sure you know what to expect as far as the fees associated with your annuity are concerned, you need to speak with a financial advisor or your broker so that you fully understand your policy. When you’re retired, chances are you want to enjoy your golden years without having to worry about how your money will fare with the ever-present threat of inflation. Fortunately, investing in real estate gives you the benefit of a diversified portfolio, and depending upon the type of real estate investment, it could also help your retirement funds keep up with inflation. There are several real estate investment options available to you, with two popular choices being the purchase of private mortgage lending pool shares or directly purchasing real estate. If you are considering investing a lump sum in real estate, you may want to look into private mortgage pools that provide people who flip properties with the funds to purchase, fix and resell properties. This investment helps you avoid the common pitfalls of real estate flipping, especially if you aren't familiar with how the process works. Investing in a private mortgage pool alleviates the hassle and financial hit of having to hold onto a property for longer than you planned, or underestimating renovation costs. Your investment is spread among hundreds of deals so you aren't putting yourself at the same risk as you'd face if you were flipping single properties yourself. If you are more of a hands-on investor, then purchasing a property and flipping or renting it yourself could be what you’re looking for. This is known as direct investment. Purchasing a property is another popular choice for lump sum investing because you can obtain investment property with relatively little money in comparison to your potential return of income, or ROI. Direct investment is not without its inherent risks, but the good news is that real estate does tend to keep up with inflation that threatens to reduce your buying power as you get further along in your retirement years. The Motley Fool: What Is an Immediate Anuity? CNN Money: What Is an Immediate Annuity?